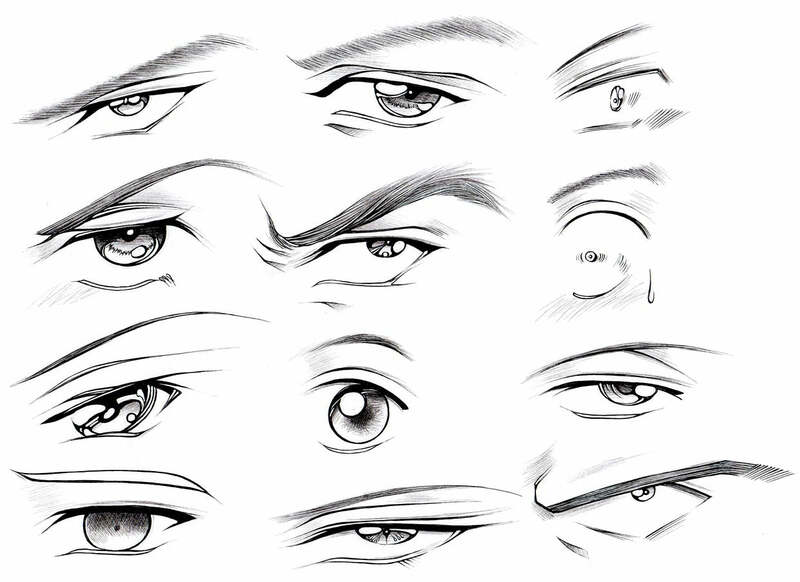 Once you have the right eye drawn, you're probably going to want to draw the left eye, too. 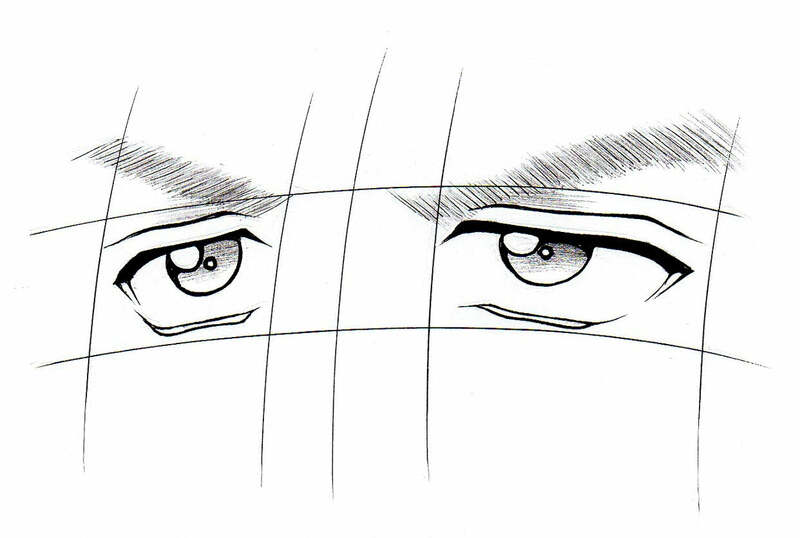 ^_^ All you have to do is draw the mirror image of the exact same eye. The placement of the second eye can be tricky, though. 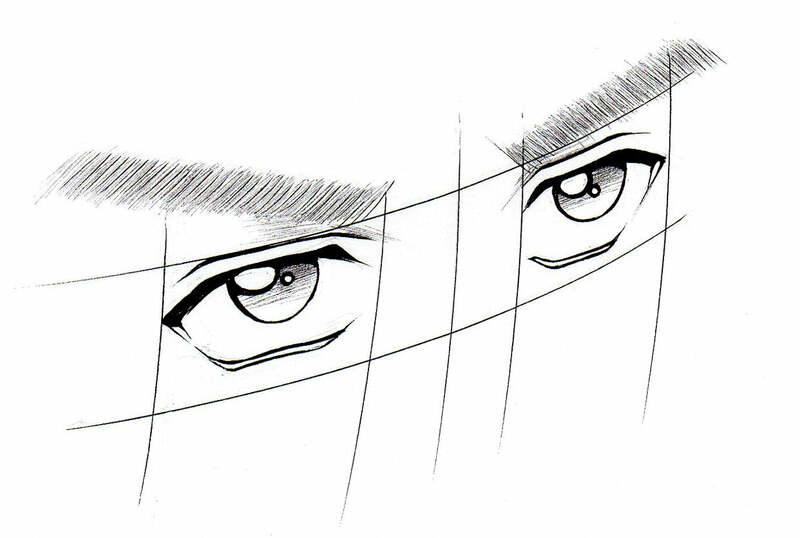 Anime and manga eyes, no matter what style, are always drawn about one eye length apart. The distance may be a little more or less, but one eye length is a good measurement. You probably are not always going to draw your characters facing towards you, though, so you'll need to know how to line up eyes at different angles. On the head portion of this general face tutorial, you will see that I use curved guidelines to define where I'm going to place the eyes. Always draw guidelines to help you position the eyes, until you are really good at it and no longer need them. You don't want the eyes to be off-center. Notice that in this picture, the right eye is smaller and flatter than the left since it's further away from you. This is pretty much the same thing, except the head is tilted in the other direction. In this picture, the left eye is smaller than the right. Both eyes still follow the curve of the face. Eyes that don't line up properly can look very sloppy, so be careful.